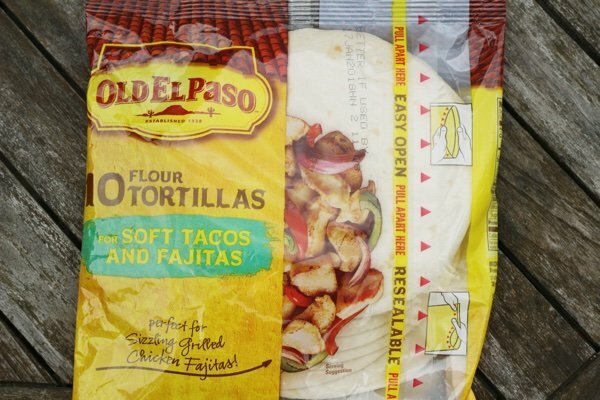 Are you looking for the best store bought tortillas? I certainly am. I find this subject so much harder than bread because there is such a diversity of products. I love Ezekiel bread and Dave’s Killer Bread and they are always where I expect them to be. When I went looking for tortillas, I found them in four different places! Argh! The bread aisle, the refrigerated section, the Mexican foods section, and in front of the deli all had different tortillas. Isn’t that crazy? I am including wraps in this post because they are very similar to tortillas. I hope you are all not annoyed by this inclusion. These are the worst. These tortillas have a gummy texture and they taste terrible. I would compare them to eating salty glue. Don’t do it! I would definitely heat these up before I eat them. These are pretty tasteless but not offensively so. They are miles ahead of the Old El Paso tortillas. 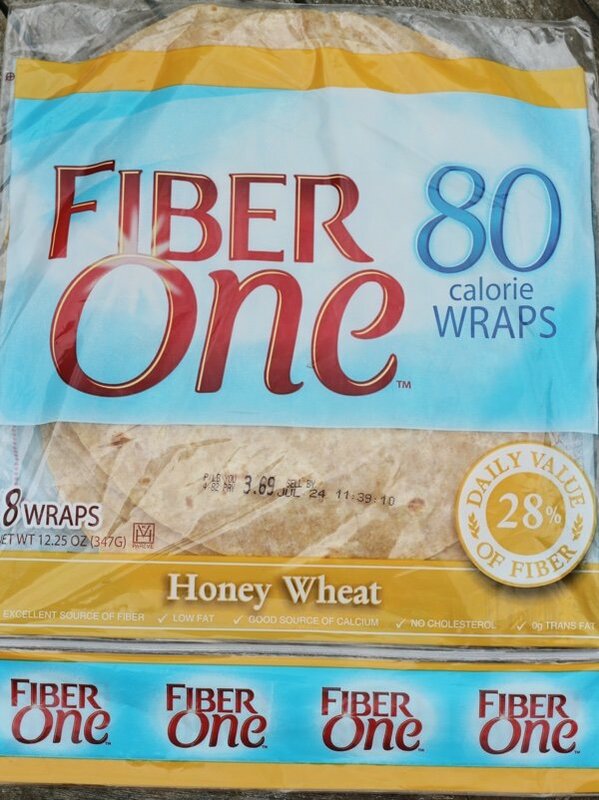 These have 7 GRAMS of fiber in one wrap. That is a lot and it is achieved by adding oat fiber. I like these but I am worried my tummy might rebel if I ate two of them. 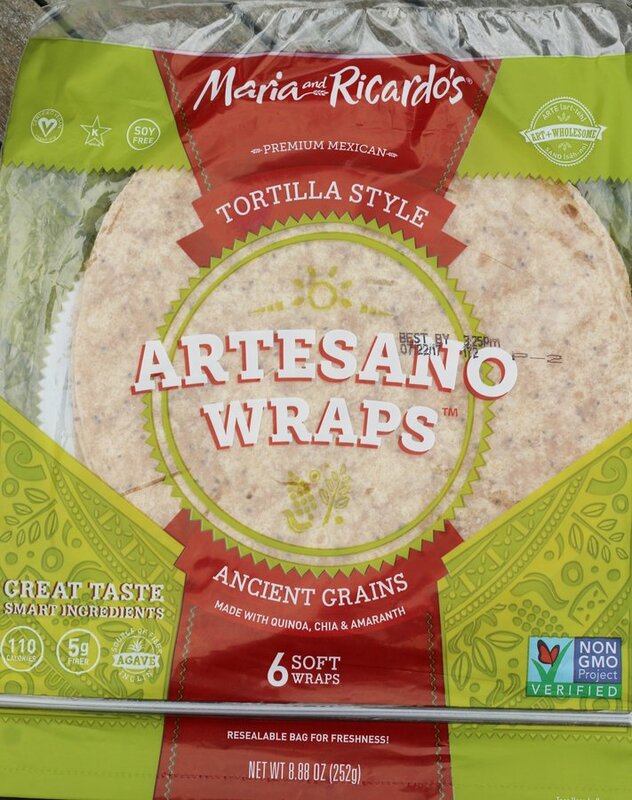 Maria and Ricardo’s wraps have a better flavor and texture than Fiber One and I would give this a BEST for an almost whole wheat tortilla. The texture and flavor was quite good. I think this is a pretty good choice. It is high in fiber, low in fat, and tastes like a tortilla should taste. Good going, Maria and Ricardo! These are by far the least expensive of the bunch and remind me of a homemade Mexican tortilla. These are whole grain (corn) and are low in fat. They are the perfect little vehicle for whatever delicious thing you want to put on them. They are naturally sweet because of the corn but they fall apart more easily than their wrap cousins. I wouldn’t use these to wrap a sandwich but I would call them the best for tacos. 1. A taste you like. 2. Whole grain (or close to it). What do you think is the best store bought tortilla? Ezekiel Bread Nutrition: Excellent Bread! We use Ole Extreme Wellness High Fiber tortillas. 90 cals, 0 sugar, 9 fiber & 5 protein. They're still not perfect on the content, cellulose fiber. But it's the best available in our area that my family can agree on. You are right Deb, there is a big difference between flour and corn tortillas. I will the ones lisa favored a try also if I can find them inmy neck of the woods..
@Deb - I should have divided them out now that I think about it. They are two different animals. Thanks for your comment! I have some work to do. I have a hard time finding flour ones without hydrogenated oils. Does it even exist? My Texas Mexican friend only makes homemade with a giant scoop of crisco! 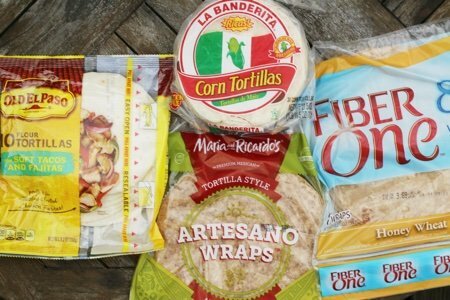 I always buy the corn tortillas and use them in enchilada and quesadilla recipes. Limiting the cheese to the bare minimum and increasing the beans and salsa makes it healthy! LaTortilla Factory makes excellent corn tortillas. They never fall apart and have a wonderful flavor and texture. They also make a 50 calorie whole wheat low carb tortilla with 8 grams of fiber. Its really tasty as well and my picky husband who normally doesn't do whole wheat will eat them. All products are non GMO and no bad fats. I love LaTortilla Factory! The corn are good but my favorite are the whole wheat. The original size have 8g fiber, 5g protein, and only 50 calories!! Available From Grocery Stores In Montana Mission (Whole Wheat Blue Corn) Guerrero (Corn). La Banderita are our favorites also. Since ours is a Mexican family, we sometimes get our tortillas at a taqueria. Guerrero or Mission are third on our list for flour. Guerrero have the best corn tortillas. La Banderita have the best flour. We use flour for and corn for eggs and chorizo, enchiladas and tacos. We never use flour for these three things especially. Technically not a tortilla but we use Josephs Lavash and pita low carb, oat bran and flax whole grain breads for nearly everything we wrap or eat like a sandwich in addition to eating with hummus. They are low cal, high fiber and taste pretty darn good compared to others. I really like the Tumaros wraps. 1SP each, lots of flavors, and they taste great. Thinner than some, very soft and tender, large enough to make a nice wrap. All I use for bread. I buy the Mission regular for my family and low carb for me. They keep fresh forever and are great for all uses without being too large. I had some corn tortillas in my hand yesterday (pork carnitas in the slow cooker today) but I don't want to buy 30 and they always seem to fall apart as well. I agree that it's overwhelming... And we don't buy tortillas often, so we never remember which ones we bought prior and whether we liked/didn't like them! 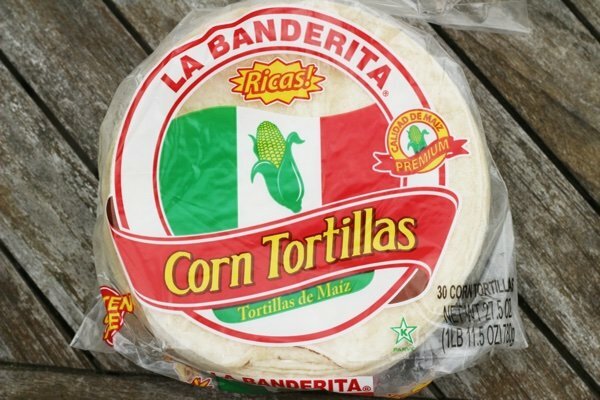 for Jamie Sandman---I know you probably know this but corn tortillas must be steamed or lightly fried in a pan to hold together. We use Guerrero corn tortillas because they hold together better after having been cooked. Just sayin' for you and others who may not know. I steam mine (about 5 to 6 at the same time) in the microwave for 10 seconds for each tortilla. The moisture from the tortillas steam each of the tortillas. Or, I fry them in oil or butter until they brown but stay soft. Ole Extreme Wellness Flour Tortillias. 1 SP. They come in lots of flavors, Spinach, Tomato 🍅, high fiber... very good for a healthy option and they are large. I eat them a lot. The thing that gets me about buying tortillas in the store is how few of the flour ones are made of ingredients that are all real food. We don't care for corn tortillas so they are not an option for us. Maria and Ricardo's is an okay brand but my favorite is Tortilla Land which have to be cooked at home. They are made of only the ingredients I would use if I made tortillas at home.